As personal finance bloggers, Lauren Greutman and I travel in a few similar circles on Facebook. So, when she announced on one of the groups that I am a part of that she was releasing The Recovering Spender, and that she was looking for some bloggers to read and review the book, I jumped at the opportunity. I don’t do a whole lot of book reviews on here. I should probably do more, but especially lately, most of my reading time is taken up by textbooks. I do a few reviews here and there of fiction books, but I tend to keep those isolated to my author/book blog, Novelnaut. Shortly before the official launch date of the book, Lauren and her team sent me an advanced copy of the book in one of the best book review packages I’ve ever seen. Lauren really knows how to make a person feel special! But, you likely aren’t reading this to find out about the confetti and handwritten thank you note she sent with the book. So, let’s get to the review. What is the Recovering Spender about? As you can imagine, I’ve read a few books on the subject of personal finance. 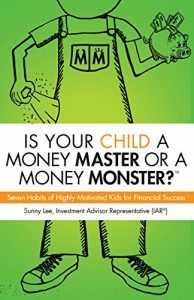 One of the first, and most influential in my personal finance journey was Dave Ramsey’s Total Money Makeover. Reading that book change a lot of the ideas I had about money, and how it should be handled. The Recovering Spender has the capability to be that book for a lot of people. Every one of us knows a spender. They’re the people in our lives that are always spending their money. And spending money they don’t have. Maybe it’s your spouse (it was for Lauren’s husband), or maybe it’s a close friend. You know at least one. You do. In The Recovering Spender, Lauren shares her own story of coming to the realization that she was a spender. She writes candidly about the deep hole of debt that she created through her spending habits, and how crushing it was. She then talks about the decision to come clean, and the grace that her husband had in not only handling the situation, but joining with her in trying to find ways to pay the debt off. If you’ve ever struggled with your personal finances, even if you’re not a spender, you’re going to see some parallels in Lauren’s story. Instead of crumbling under the debt, Lauren and her husband decided to beat it. And beat it they did. Through a whole lot of trial and error, and some pretty creative saving, they eventually reached a debt free life! Like some of the other addiction programs, the Recovering Spender program has 12 steps that you can follow to overcome your spending habits, save money, and pay off your debt. She’s really condensed all her own work down into a set of tools (worksheets and other resources) and advice that should give the spender in your life (even if it’s you!) a real sense of hope that it can be done, and a push to start doing it. The Recovering Spender, by Lauren Greutman, has earned itself a spot on my book recommendation list right next to Ramsey’s Total Money Makeover. 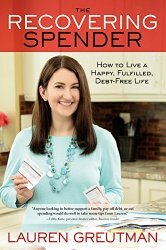 If you struggle with spending, debt, and personal finance, you owe it to yourself to find a copy of The Recovering Spender and read it.